North American and European fans of Capcom’s Ace Attorney series, which originated in Japan on the Game Boy Advance and became sleeper hits when brought to English-speaking countries on the original DS, have had a rough time lately. While all four of the previous entries in the series got translations, along with the spinoff Ace Attorney Investigations, newer games in the series, namely Ace Attorney Investigations 2 and Professor Layton vs. Ace Attorney, have had no word on any sort of English translation in the works. The fifth major entry in the series, Ace Attorney 5, was originally announced for the 3DS late last year, and while Capcom hinted at plans to bring the game over here, there was never any official announcement – at least until now. With a new (and lengthy) full title, Phoenix Wright: Ace Attorney: Dual Destinies has been confirmed for an English release this fall, along with a spiffy new trailer. 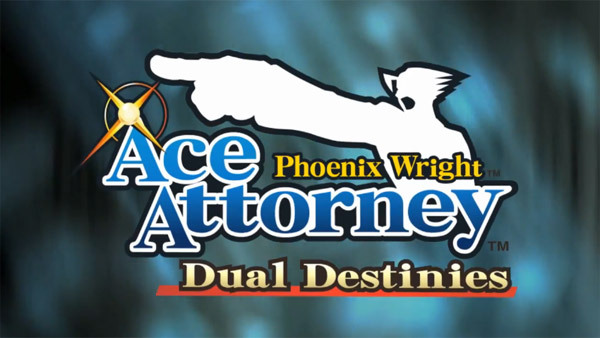 Dual Destinies will see the series’ original protagonist, Phoenix Wright, returning to the primary attorney role after taking a backseat in the previous entry, Apollo Justice: Ace Attorney. His new partner, Athena Cykes, will join him in the courtroom, bringing a new gameplay mechanic called the Mood Matrix. This will allow Phoenix to pinpoint the emotions in testimonials, and use them to his advantage to coerce the truth out of witnesses and suspects. The other interesting aspect of Dual Destinies has less to do with the game itself and more with its distribution method. Though previous entries all came on DS cartridges, Capcom reps have confirmed that the English release of the game will be available on the Nintendo eShop only, with no plans for physical distribution. Specific reasons were not given, but fan speculations include the theory that Capcom might lose money in mass producing physical copies of what is generally considered a more niche title than some of their bigger hits, such as Street Fighter or Resident Evil. We will keep you updated on more news regarding Phoenix Wright: Ace Attorney: Dual Destinies as it drops. In the meantime, check out the first English trailer below and let us know how you feel about this announcement in the comments below.